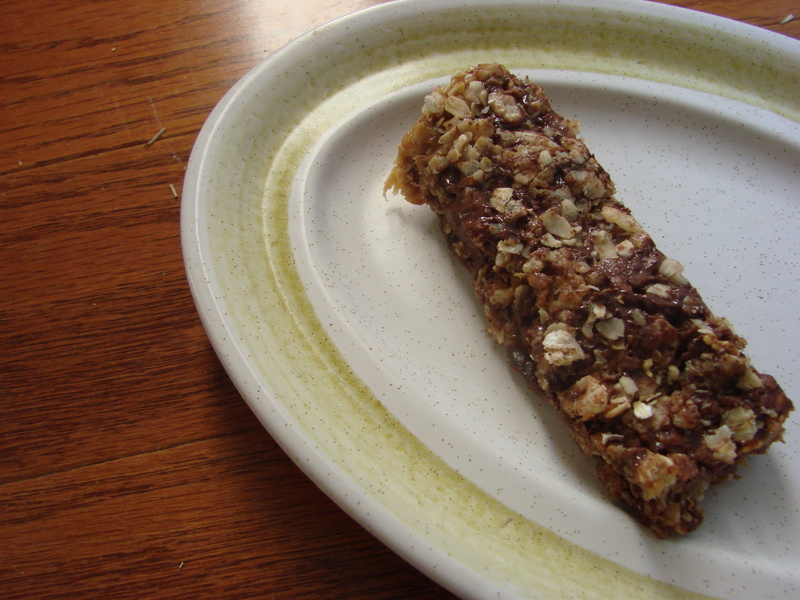 No bake Granola bars.. SUCCESS! OOH my goodness they were soo yummy! I made it part of school so the boys helped.. The only part that had to be “cooked” was the honey and brown sugar..
Needless to say I quickly wrapped each one (after they cooled of course) in wax paper in hopes i would not devor them ALL! 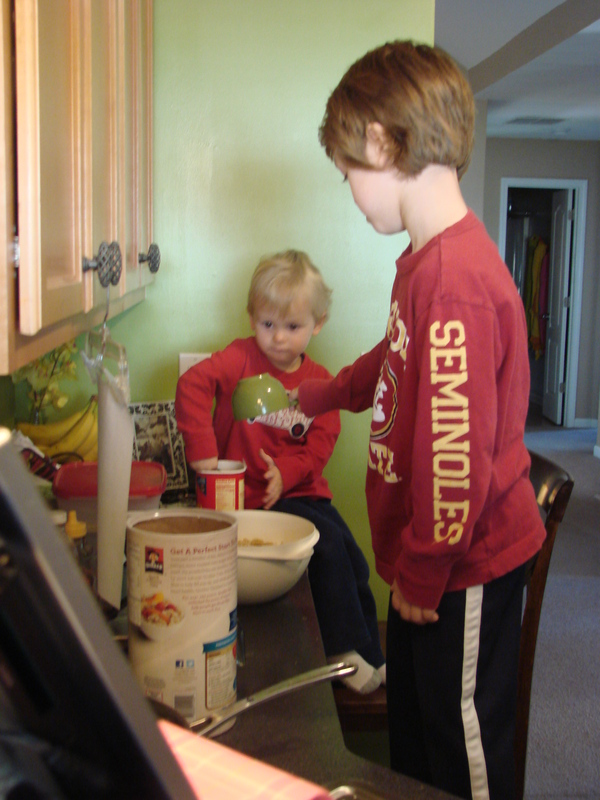 :) NO more store bought granola for us.. these will be made again! Combine first 4 dry ingredients in a bowl. 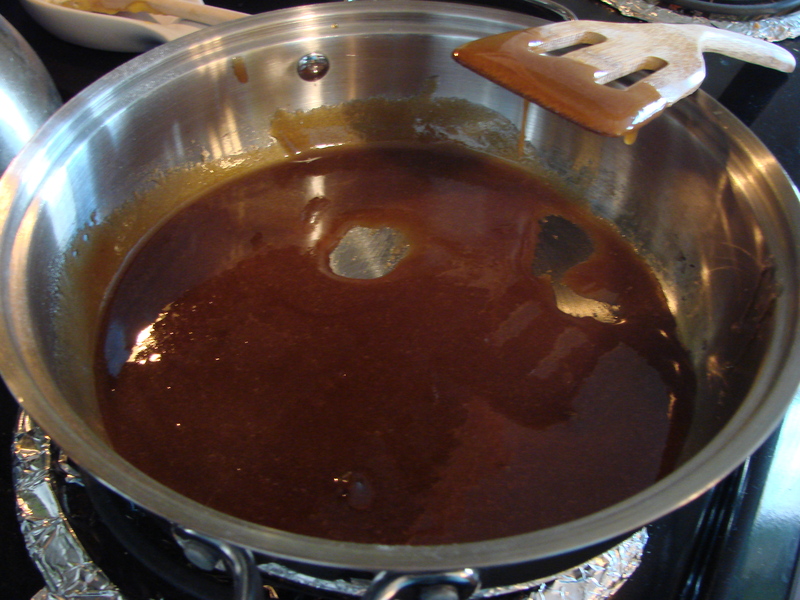 In a saucepan, mix the honey, brown sugar and salt. Over medium-low heat, stir until the mixture comes to a complete boil for 30-60 seconds. Remove from heat and stir in the peanut butter and vanilla until smooth. Pour over the dry ingredients and mix well. Let cool for 5-10 minutes before mixing in the chocolate chips. 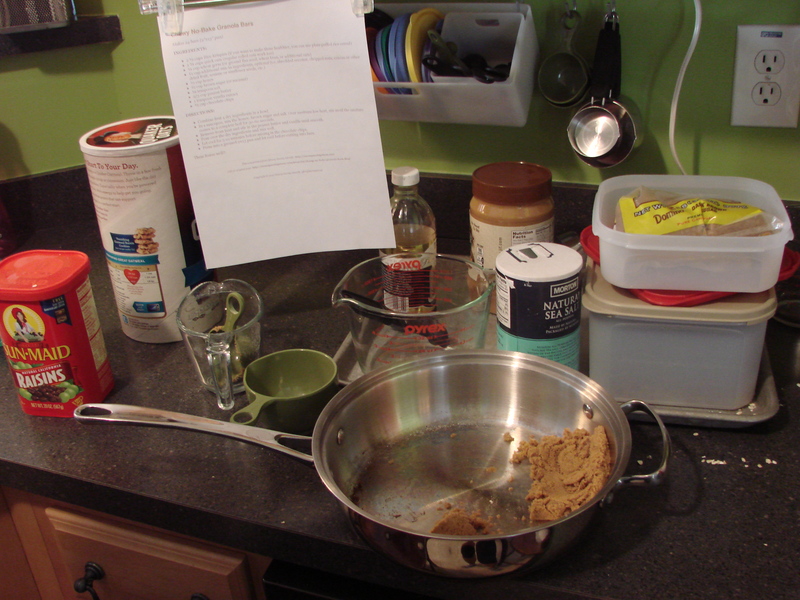 Press into a greased 9×13 pan and let cool before cutting into bars. This entry was posted in Pinterest, Recipes, Uncategorized and tagged bars, easy, Goals, granola, no bake, no bake granola bars, pinterest, recipe, success. Bookmark the permalink.